Credit: Steve & Michelle Gerdes (orngejuglr) on Flickr. 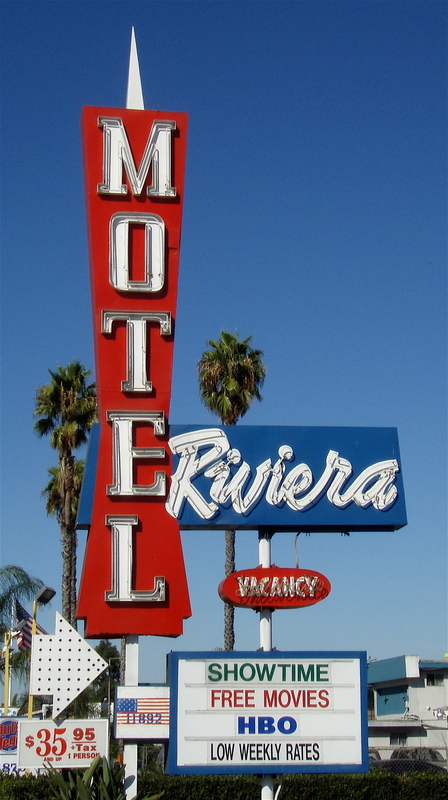 While the sign is pretty and so many cool old signs and buildings are regularly lost in Orange County, take it from me…you do not want to stay here. Posted in Retro/Vintage, sign, TravelTagged Americana, arrow, googie, neon, Orange County, photography, SoCalBookmark the permalink.